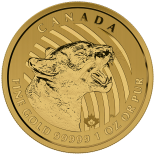 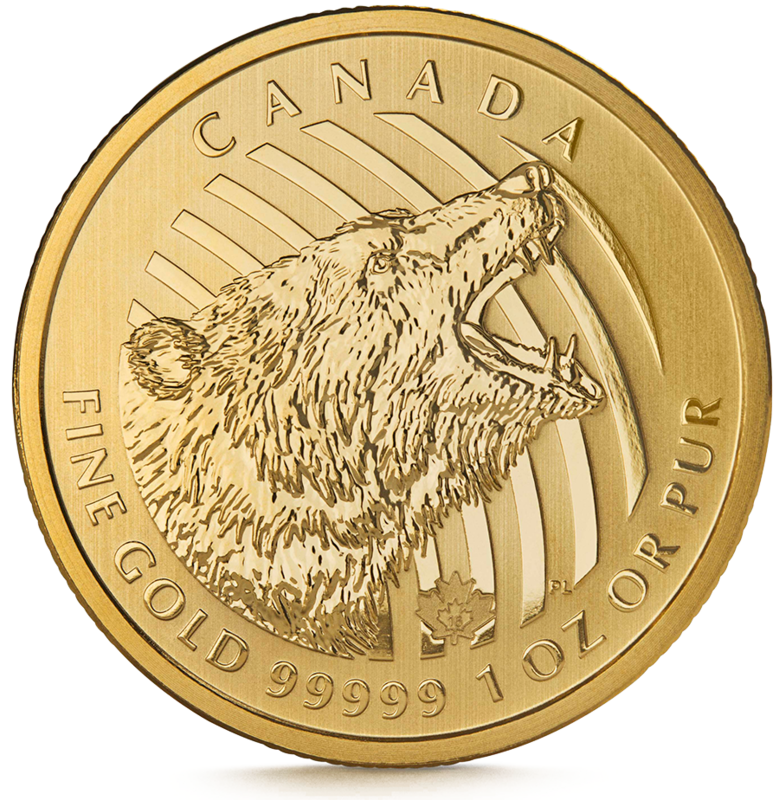 The third coin in the "Call of the Wild" 3-coin series presents a profile portrait of a grizzly bear growling. 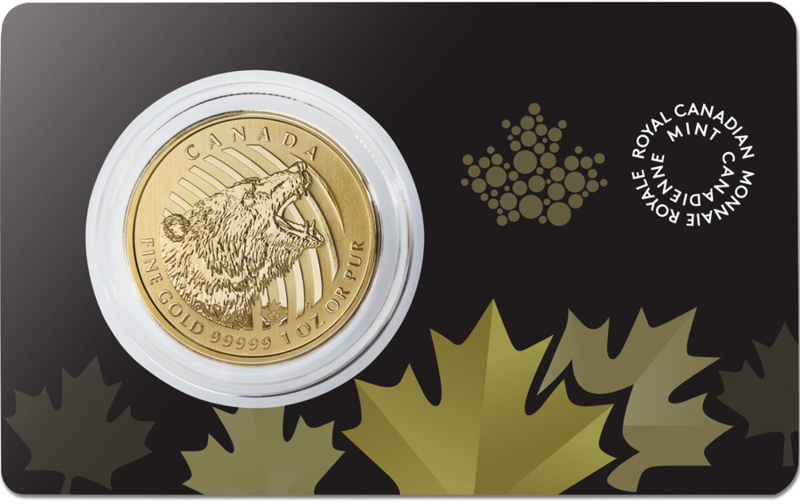 The Royal Canadian Mint engravers have lent additional beauty to Pierre Leduc's artistry; the finishes on this coin really emphasize the dense fur, presented in full detail, bringing the intensity of the moment fully to life. 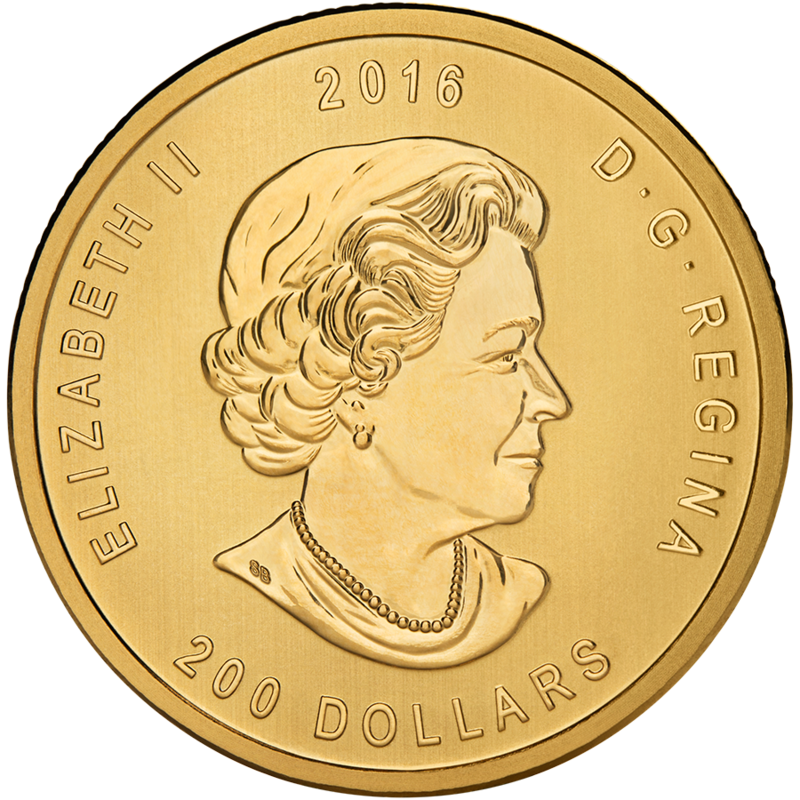 The face of the coin features Elizabeth II, as do all Commonwealth coins. 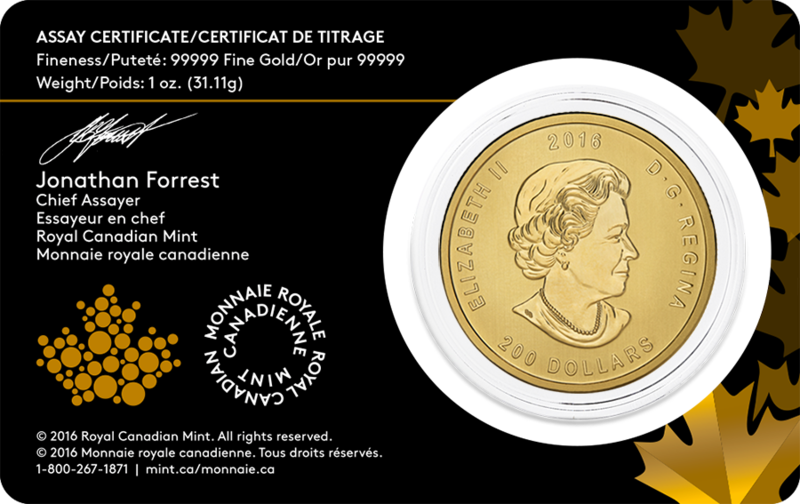 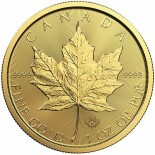 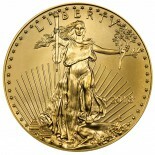 This limited-release collectible bullion coin contains 1 Ounce .99999 Pure gold and has a Nominal face value of $200. 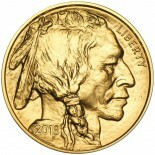 The coin comes packaged in an assay card, and is being minted in a limited run in 2016.